Aside from processing Philippine passports, the Department of Foreign Affairs (DFA) is also tasked with authenticating documents. Also known as “red ribbon,” this special service provides applicants with DFA-authenticated documents which are mandatory requirements for anyone applying for a work or immigrant visa abroad. Why do you need to authenticate a document? 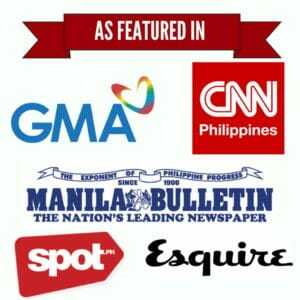 What documents can be authenticated with DFA ‘Red Ribbon’? 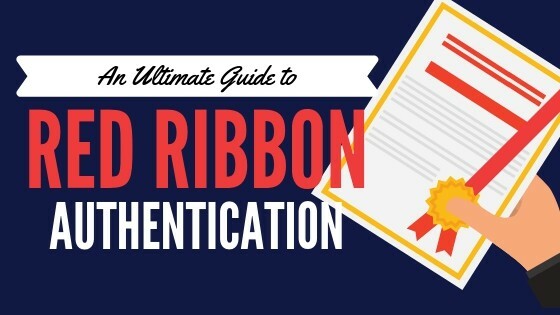 How to Authenticate Documents with DFA Red Ribbon in 6 Easy Steps. 1. Complete the DFA authentication requirements. a. At least 1 valid government-issued ID. b. Document/s to be authenticated. 2. Proceed to the nearest DFA Consular Office that offers authentication services. 3. Fill out the DFA Authentication application form. 4. Submit documents to the Processing Window. 5. Pay the DFA Authentication fee. 6. Claim your authenticated document/s. 1. How long is the validity of DFA-authenticated documents? 2. I can’t personally go to DFA to file/claim the documents. Can an authorized representative do it on my behalf? 3. How can I authenticate my Philippine-issued documents if I’m abroad? 4. What happens to unclaimed DFA-authenticated documents? Let’s say you have a PSA birth certificate. Birth certificates in the Philippines and those issued by other countries don’t look the same. They’re also not processed in the same way. So how can a foreign country accept a document (in this case, a birth certificate) from a completely different country with completely different laws and culture? This is when authentication enters the picture. Since the 1963 Vienna Convention on Consular Relations, embassies or consulates around the world have been following the same authentication procedure to ensure that a document processed in a particular country will remain valid in another country. For this reason, the purpose of having your documents authenticated with DFA red ribbon is to ensure embassies or consulates in other countries that the said documents have been carefully reviewed, examined, and subjected to an agreed upon authentication procedure. In other words, the DFA red ribbon guarantees foreign embassies that whatever document you’re submitting is not fake and was released by a recognized Philippine government agency. Certificate of No Marriage Record and/or Negative Records (CENOMAR). Transcript of Records (TOR) and Diploma. Pilot License issued by the Civil Aviation Authority of the Philippines (CAAP). Baptismal Certificate and other documents issued by a private entity. School ID (for elementary, high school, and college students). Birth/Marriage/Death Certificate/Certificate of No Marriage Record and/or Negative Records (CENOMAR). Must be issued by the Philippine Statistics Authority (formerly NSO) and printed on Security Paper. If there are entries on the certificates that are unreadable, please bring equivalent copies issued by the Local Civil Registrar (LCR). For documents registered at the LCR within 6 months from the date of registration, you can bring the LCR copy instead provided that it has been certified/authenticated by PSA. Transcript of Records (TOR) and Diploma (For State Colleges and Universities). Only bring Certified True Copies from the school. Documents must have the Certification, Authentication, and Verification (CAV) from the school and signed by the school/university registrar and/or school’s authorized signatory. Transcript of Records (TOR) and Diploma (Private Schools and Local Universities and Colleges). Documents must have the Certification, Authentication, and Verification (CAV) from the Commission on Higher Education (CHED) where the school is located. Transcript of Records (TOR) and Diploma / National Certificate (Technical or Vocational Courses). Documents must have the Certification, Authentication, and Verification (CAV) from the Technical Education and Skills Development Authority (TESDA) where the school is located. Form 137 and Diploma (High School and Elementary Level). Documents must have the Certification, Authentication, and Verification (CAV) from the Dep-Ed Regional Office where the school is located. Must be certified/authenticated by the Department of Health (DOH). Only secure authentication for this document if requested by an employer/agency from countries such as Angola, Cyprus, Greece, Portugal, Cuba, Oman, Libya, Palau, and Spain. Civil Aviation Authority of the Philippines (CAAP) issued licenses. Must be certified/authenticated by CAAP. Only certifications from the Land Transportation Office (LTO) main branch will be accepted. Must be certified/authenticated by the Professional Regulations Commission (PRC). Certificate of Employment/Training/Seminars, Baptismal Certificate and other documents issued by a private entity. Must have a notarized affidavit which states the necessary factual circumstances and indicates the certificate/s as attachment/s. Please secure a Certificate of Authority for a Notarial Act (CANA) signed by the Executive Judge or Vice Executive Judge from the Regional Trial Court which issued the commission of the Notary Public. Note that the copy of Notarial Commission is not the same as Certificate of Authority for a Notarial Act (CANA). Other Notarized Documents (Special Power of Attorney (SPA) / Affidavit of Consent/Invitation/Guarantee/MOA, etc.). Only bring certified true copies of the document/s. If not available in records, a copy of specimen signature of the court personnel who signed the certified copies from the Office of Administrative Services (Supreme Court – Located beside PGH) may be required. Must be certified/authenticated by the Bureau of Immigration (BI). This refers to the travel clearance for minors issued by the Department of Social Welfare and Development (DSWD). Personal copy of the NBI clearance won’t be accepted. The NBI clearance to be authenticated must be issued by the National Bureau of Investigation for travel abroad (green). DFA accepts police clearances issued by the Philippine National Police (PNP) or police certifications from Camp Crame (Directorate for Intelligence Clearance). Mayor’s Clearance or Certification which has jurisdiction over the Barangay of the applicant’s place of residence. Depending on what type of export document you have, it must be certified/authenticated by any one of the following: Department of Health (DOH), Philippine Chamber of Commerce (PCCI), Bureau of Food and Drugs (BFAD), or Department of Agriculture (DA). Business Registration and Other Documents issued by a Government Agency (e.g. SEC, DTI, BIR, Municipal Business Permit & Licensing Office, etc.). Must be certified/authenticated by the issuing office. Consularization of the document by the Philippine Embassy or Philippine Consulate General in the country from where it originated or by the said country’s Embassy or Consulate General in the Philippines. Unlike in Philippine passport application and renewal, you don’t need to secure an online appointment to avail of the authentication services offered by DFA. Simply proceed to the DFA during office hours and go directly to the queue or counter dedicated for the authentication service. DFA NCR-South (Metro Gaisano Alabang). For the complete address and contact information of each office mentioned above, please refer to this guide. DFA Consular Offices are open from Monday to Saturday, 10 AM to 6 PM. DFA Aseana (main office) only offers “red ribbon” authentication services during weekdays (Monday to Friday). If your documents need further verification, please file at the Authentication Division at DFA Aseana (main office). Although authentication services are available from Monday to Saturday in most Consular Offices, the authenticated documents are only released during weekdays (Monday to Friday). Again, no appointment is needed if you’re availing of authentication services. Beware of swindlers who may tell you otherwise. Upon arrival at the DFA Consular Office, proceed to the Authentication Information counter and get a queuing number. Wait for your turn. Fill out the DFA Authentication application form from Sections A to C. Here’s a PDF copy of the application form to give you an idea of what it looks like. Take note that there’s a maximum of 5 documents (to be authenticated) per application form. Proceed to the Processing Window and present your valid ID. Submit your duly accomplished DFA Authentication application form along with the document/s to be authenticated. Pay the appropriate DFA authentication fee to the cashier. As of this writing, DFA “red ribbon” authentication costs Php 100/document for regular processing (released after 4 working days) and Php 200/document for express processing (released after 1 working day). After payment of the fee, you will be issued an official receipt along with a release date when you can claim the authenticated document/s. Please keep the official receipt. Return to the DFA Consular Office on the indicated release schedule. Drop the official receipt issued to you after payment (see the previous step) at the Releasing Drop Box and wait for your name/number to be called. Once it’s your turn, present a valid ID and/or Special Power of Attorney (if you’re claiming the document/s on behalf of someone) at the Releasing Window. Upon receiving the authenticated document/s, double check for any inaccuracy or errors before leaving the DFA premises. Is special power of attorney the only acceptable document if you are sending a representative? IS IT POSSIBLE TO CLAIM THE AUTHENTICATED DOCUMENTS ON THE SAME DAY SHE FILED? BECAUSE THE AUTHORIZED PERSON LIVE VERY FAR AND SHE CANNOT GO BACK FOR ANOTHER NEW PLANE TICKET? FOR EXAMPLE SHE FILE FRIDAY AND ON THE NEXT DAY IS SATURDAY.